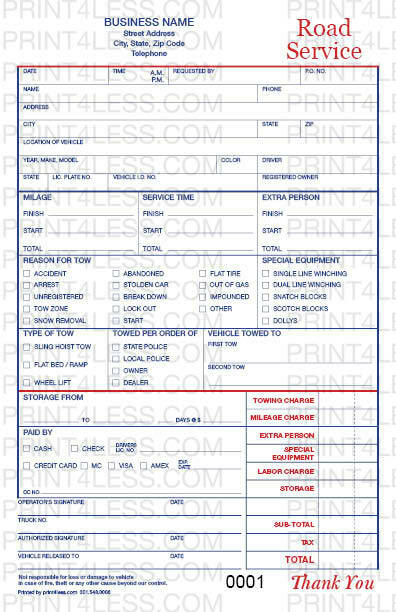 This form has room for all the necessary details. 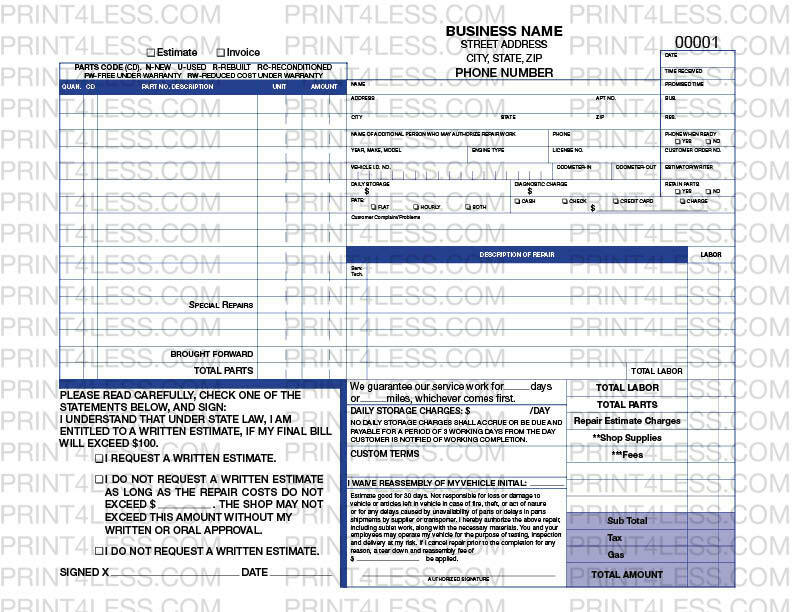 Custom imprinted to fit your unique business. 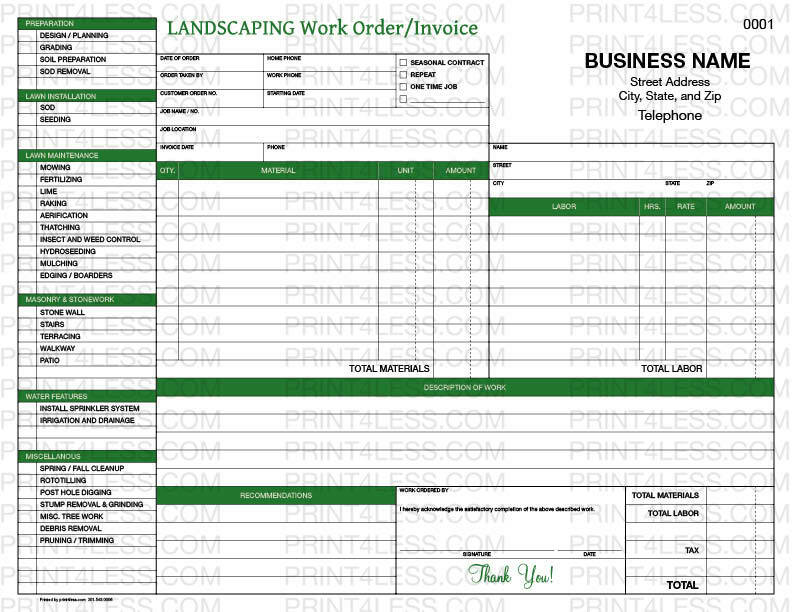 Use the top copy to invoice your customer. 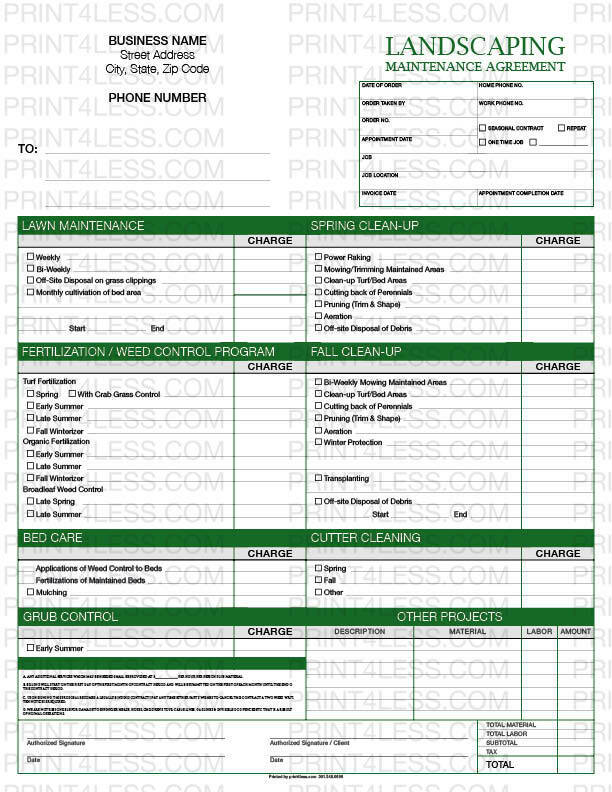 The remaining copies can be used to track parts inventory, repair person and for your files. 11" x 8.5", can be consecutively numbered. Full color or black ink only.